In 1883, Japan was still reeling from the devastating Boshin war, but industrialisation and modernisation soared and hopes were high. Prior to prior to the First Sino-Japanese War however growing tensions with China made the general staff believed their small navy would be no match in an open conflict with the Chinese Navy. At that time, Western military advisors were present in Japan and influenced naval thinking. This was the case with the French, who sent a mission and an engineer, Emile Bertin, to help develop the first Naval Yard and Naval academy. The latter also provided the Protected and Armoured Cruisers Japan needed, promoted by the Jeune Ecole theories. Unebi was one such ship, ordered at Forges et Chantiers de la Gironde (Bordeaux) in France, in the 1883 fiscal year and laid down 17 May 1884. She was launched 6 April 1886 and completed in October 1886… To be lost in December, just barely two month after completion and en route to Japan. 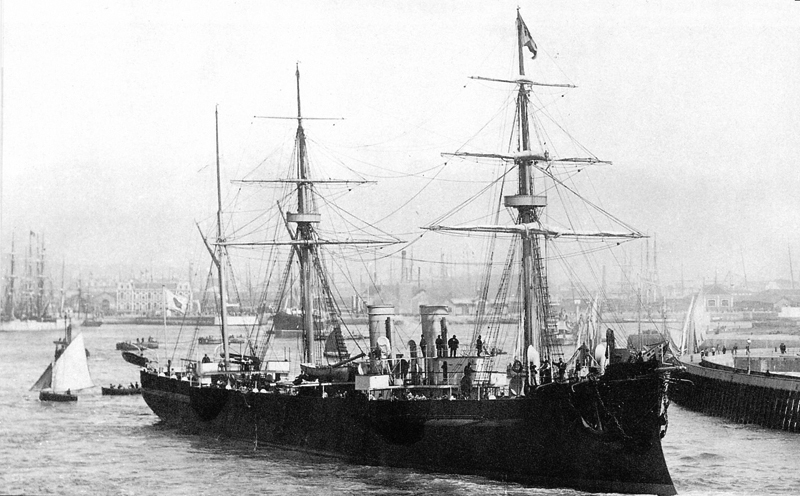 Rear photo of the Unebi, taken just after the ship departed Bordeaux for a long trip to Asia. In 1882 the Imperial Japanese Navy lacked the resources to purchase modern pre-dreadnought battleships to counter the Chinese Beiyang Fleet. 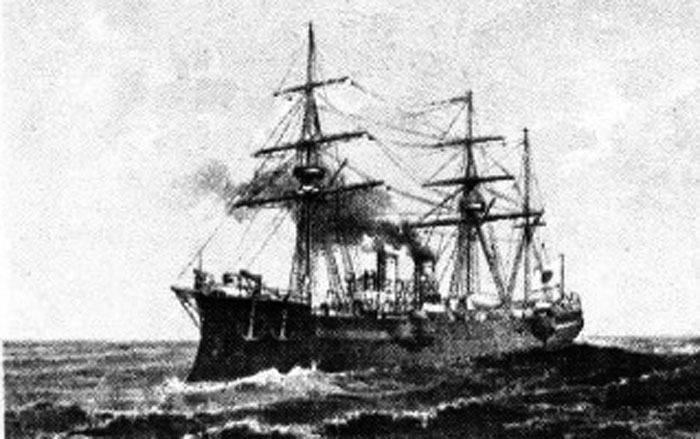 Naval Minister Kawamura Sumiyoshi ordered three ships, Naniwa and Takachiho from Armstrong Whitworth and Unebi from Forges et Chantiers de la Gironde. This was a very different ship from Naniwa, with a backwards-looking rigging, tall hull with a clipper-style stern and long spur ram. She looked impressive and was equally well-armed, with main pieces in a rectangle configuration and a good overall protection against protected cruiser medium artillery (6 in). Unebi was named after Mount Unebi (Nara prefecture) located near the ancient capital of Asuka. In State Shinto mythology, this mountain was home to Japan’s first Emperor, Jimmu Tenno. The basic traits of the ship contains indeed the recipe of a future disaster. With barque rigging, three masts for auxiliary sail, a relatively small displacement, narrow hull and heavy armament, the ship had a high metacentric height. Tailored for the Atlantic conditions, the ship was not prepared for the extreme weather of these islands, especially Typhoons. 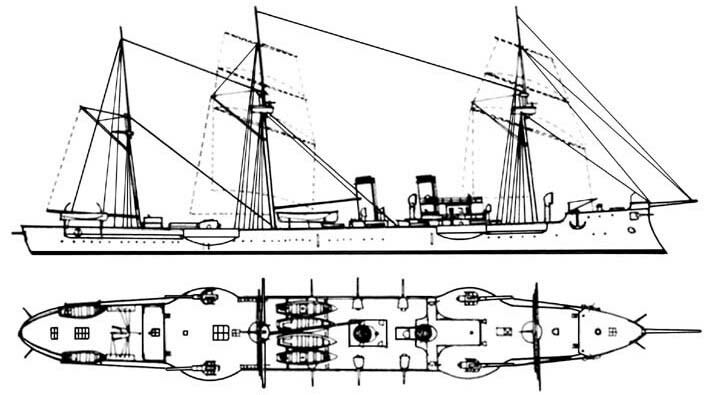 2 views rendition of the Unebi, showing its rigging scheme and decks detail. Unebi displaced 3,615 long tons (3,673 t), was 98 m (321 ft 6 in) long on the waterline, 13.1 m (43 ft 0 in) wide and with a 5.72 m (18 ft 9 in) draught. The lenght/width ratio was 1:75. The cruiser was propelled by a two-shaft Vertical Triple Expansion engines fed by nine boilers for a total of 5,500 hp (4,100 kW). The cruiser carried 700 tons of coal. This propulsion assured a top speed of 18.5 knots (21.3 mph; 34.3 km/h). 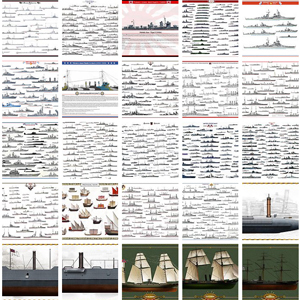 They were crewed by 280 in peacetime, and up to 350-400 in wartime. In general, this was not a bad design as she was relatively fast and nimble, at 18 knots whe could have outrun most heavier ships of her tim while the long range of her 254 mm guns was deadly for any cruiser. Armament comprised four single Vickers Breech-Loding 10 inch gun Mk I/IV guns (254 mm) placed in broadside barbettes, shielded. 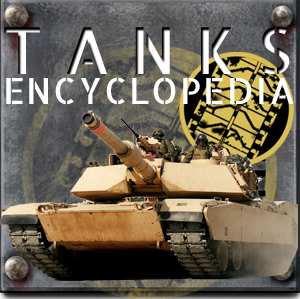 Secondary artillery also comprised seven single BL (Breech Loading) 6 inch gun Mk II/VI guns (150 mm) and for anti-TB warfare, two single QF 6 pounder Hotchkiss (57 mm) and 10 quadruple 1-inch Nordenfelt guns (13 mm), plus four American-built Gatling guns and four 356 mm (14.0 in) torpedo tubes for close-quarter combat. Supposedly this armor was made of Schinder-Creusot hardened steel. The Main deck was 62 mm (2.4 in) thick, the upper belt was 125 mm (4.9 in) thick, while the Barbettes, Turrets and citadel were 150 mm (5.9 in) thick. 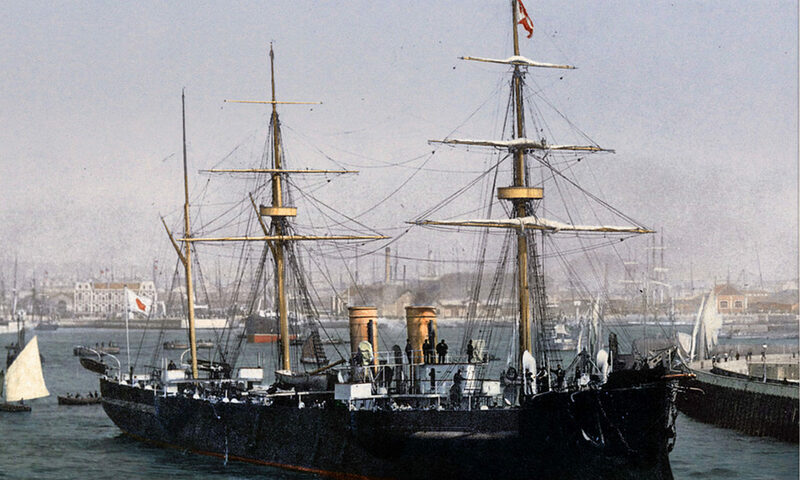 Three months after commission, in December 1886 the cruiser was en route from France to Japan. She departed Bordeaux on te 18th of October, commanded by a French merchant captain. She vanished without a trace somewhere in the South China Sea, after departing from Singapore on December, 3. The area is now grossly located between Singapore and Yokohama, she was planned to reach ten years later. She was on the feared Singapore-Formosa area region which was prone to typhoons, to this day, especially at this season of the year. Not the best decision to deliver a ship. But there were growing tensions with China then. No wreckage, survivors, bodies, were ever found by parties of ships that were sent. Agreed -there was no air search at that time and deriving debris could have been scattered far and wide. This disapearance struck the opinion then and now about what could have happened to doom the ship. 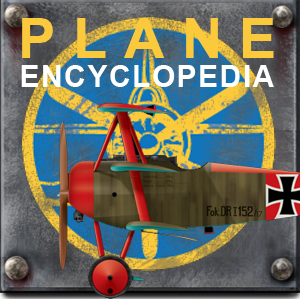 Theories of this mysterious disappearance led to novels and fictions, but official records and the generally accepted expanation would tell that the design was faulty. According to the mainstream theory, the ship was believed to be top-heavy, high and unstable, making her unpredictable in rough seas. Encountering a typhoon would have been fatal to a design never tailored for such conditions, especially with a captain novice to such waters. There was apparently also a mixed crew, since the ship has been commissioned, with 8 IJN staffs and 76 French sailors according to asahi.net..
Officially, Unebi was declared lost with all hands and later stricken from the list on 19 October 1887. She in fact never received her full Japanese crew. To this day, the Imperial Japanese Navy, and the nowadays modern JSDF, Unebi would remain the only ship on record vanishing without a trace. 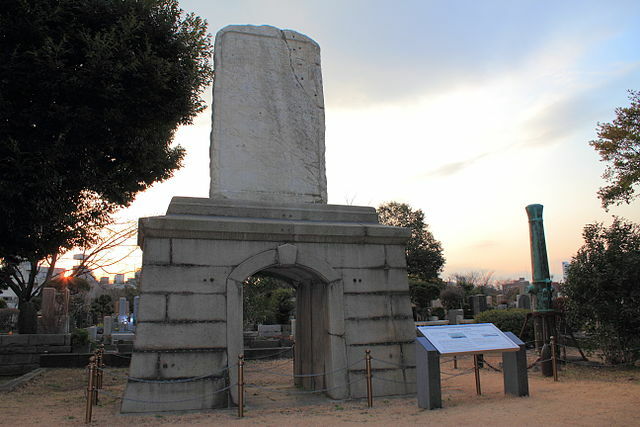 A memorial was erected (photo) to the missing crew of Unebi at Aoyama Cemetery, together with Chishima. The most immediate move was for the Japanese government to cancel another order of the same design. The French government paid a compensation for the loss of the ship. Monies helped financing the cruiser Chiyoda, built by John Brown & Company. However the Imperial Japanese Navy became reluctant to continue working with French shipyards after the disaster. This was the first nail in the coffin. The mixed results of the Sino-Japanese war and battle of Yalu in 1894, in which the IJN engaged mostly armoured cruisers along with Jeune Ecole theories (which were crippled) achieved to distance the Japanese for any further French involvement with their fleet. 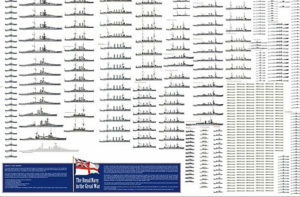 From then on, the Japanese would turn exclusively towards the Royal Navy as a raw model, shaping the fleet we know in WW1 and the second world war. 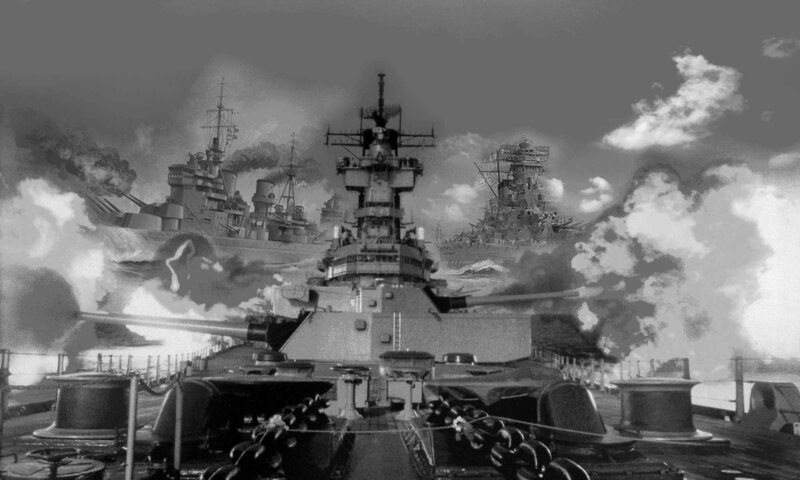 Armament: 4x 254 mm, 7x 150 mm, 2x 57mm, 10x 13mm Nordenfelt, 4 Gatling guns, 4x 457mm TTs.